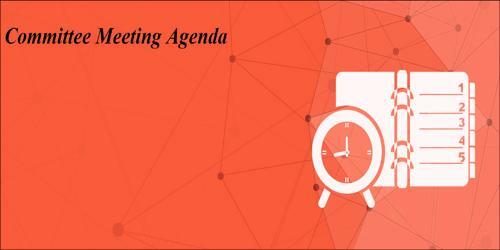 The schedule of the meeting such as the date, the time and the location must be included. The committee meeting agenda can be addressed to individual members of the committee. The objective of the agenda would be too intimate all committee of what they can expect during the meeting. 1) Establish target revenue for the fundraising. 2) Determine methods to achieve the target by fundraising events, direct solicitation or a combination of both. 3) Set a budget for the expenses. 4) Choose a format for the event. 5) Determine logistics such as date, location, and catering. 6) Committee assignments for the event [assign specific tasks to members, review prospective donor lists]. 7) Discuss the agenda for the next meeting. 4. Approval of the minutes of the last meeting of the Association. 5. Matters arising during the last meeting. 6. An update on the activities of the Association since the last meeting presented by [the president or the Executive Director if present or other committees that are scheduled to be present at the meeting]. 7. Report by the treasurer. 8. Other businesses [pending business and other matters listed for a discussion]. 9. New business [list the points for the discussion].